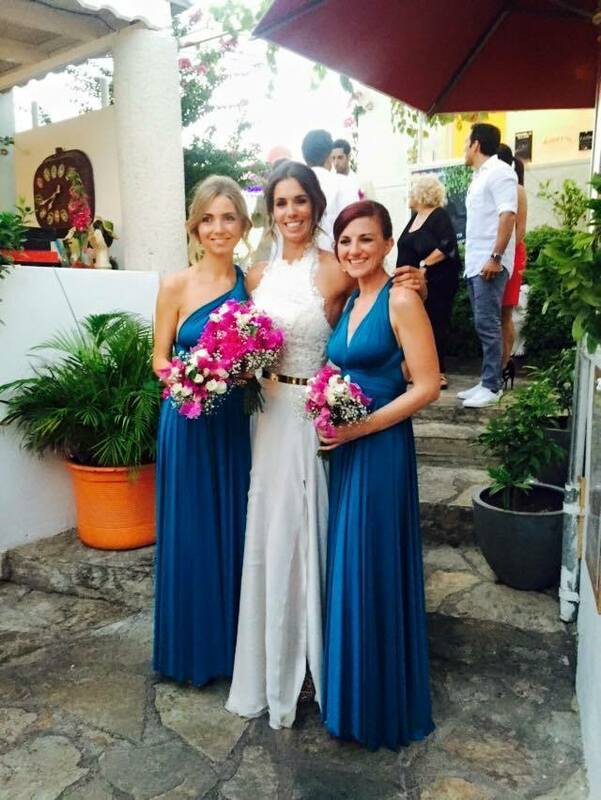 Sophie, one of our talented wedding planners, got married in September. And of course the celebrations were sensational! 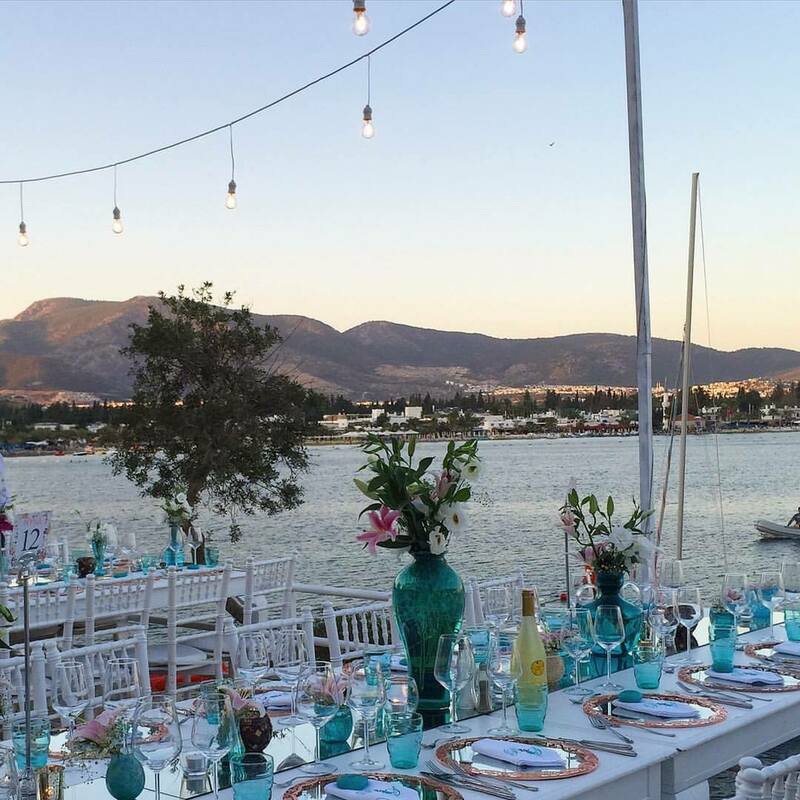 Sophie planned a four-day “wedding festival” for 270 guests in Bodrum, Turkey. Although a four-day wedding meant a lot more work for Sophie, it also meant that spending time with all 270 guests was that much more achievable! 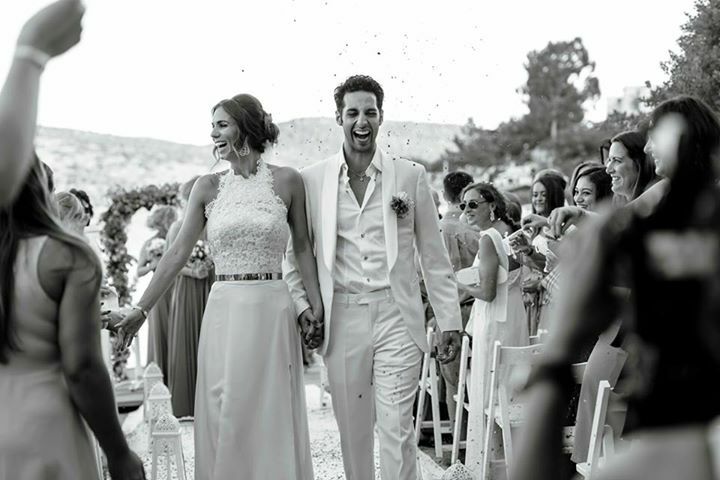 The biggest challenge for Sophie was the location; she had to take six trips to Turkey to plan her nuptials, arrange meetings with various suppliers, venues, amongst a few “research trips”! Day one was built around the brief of “enchanting and relaxed”. Wedding guests were welcomed into a hidden mandarin orchard, where they enjoyed traditional Turkish food including pomegranate salad, dolma (stuffed vine leaves), manti (traditional Turkish ravioli, borek (pastry filled with meat and spinach) and kofte Elegant lanterns were scattered through the mandarin trees to create a soft, relaxed, friendly atmosphere. Music played in the background whilst guests all got the chance to meet each other and the bride and groom had time to welcome the guests who had travelled from all over the world to be there. 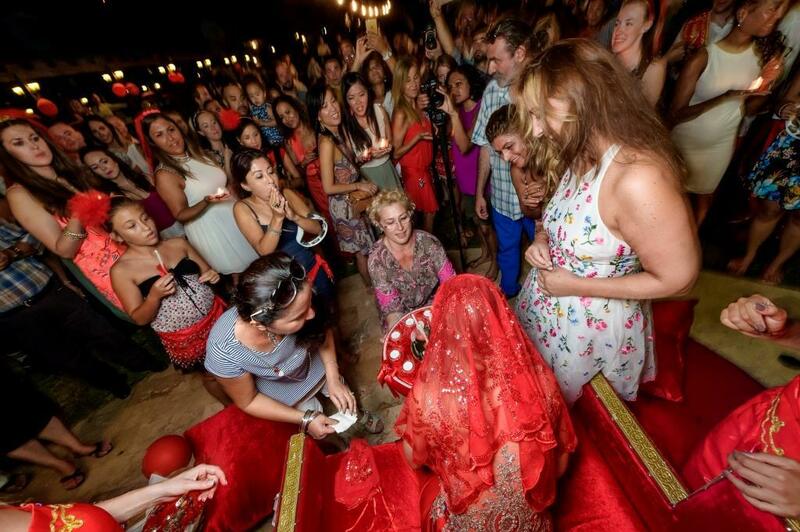 Day two was the “traditional Turkish henna party”. 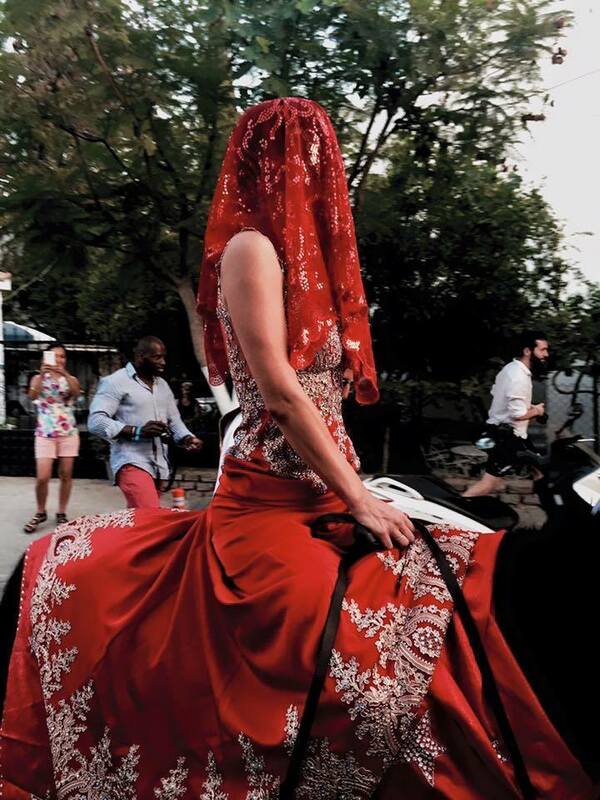 A show-stopping procession included drummers and trumpet players leading the way, followed by the bride travelling on horseback from the groom’s parents’ house. Sophie had an elegant and embellished red veil covering her face so the groom was unable to see her until the ceremony. The entire wedding party received a brilliant send-off, with locals cheering from windows and shops as they marched through the town. 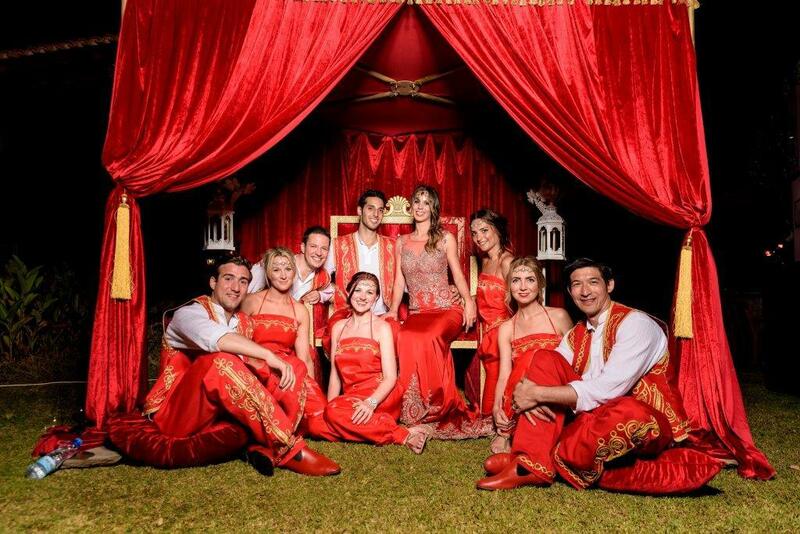 Once the bridal party had arrived at the Henna venue – a stunning garden – dressed with red lanterns, flickering candles, tea lights and festoon lighting – the bride dismounted her horse and was seated on her throne whilst the groom performed a traditional Turkish dance. The bridesmaids and significant women in the bride’s life all dance around her in circles with a cup of henna, whilst evocative music plays in the background. The groom’s mother then takes henna from the cup, and tries to put this in Sophie’s palm – she refuses until presented with a gold coin! The Grooms mother’s then places this large gold coin in her palm, before henna is placed on top. This coloured her palms a red/ orange tone as a traditional sign of leaving one family, and starting a new life with another. In the traditional way of welcoming her into the family. Her palms were then covered in beautiful red jewelled gloves whilst the henna cup was passed amongst all the girls again, as they danced in circles around the new bride, with candles. Sophie and her groom then danced together only after this could the groom remove Sophie’s veil. Beautiful lanterns hung from the trees, as all 270 guests danced the night away, clapping and cheering for the happy couple. Guests indulged in traditional Turkish food from food stations all around the garden, which included local women baking bread on hot stones, mediya dolma (stuffed mussels with aromatic rice, herbs and spices) and slow cooked marinated lamb (slow-cooked in an underground oven for 48 hours). Guests partied the night away whilst being served shots of home-made vodka infused with pomegranate seeds and cherries, by the bride. The party continued into the small hours whilst guests were blown away by incredible performances from belly dancers and traditional Turkish folk dancers! Day three of the wedding was to reflect true “romance, elegance and love” with a beautiful romantic ceremony on the beach. 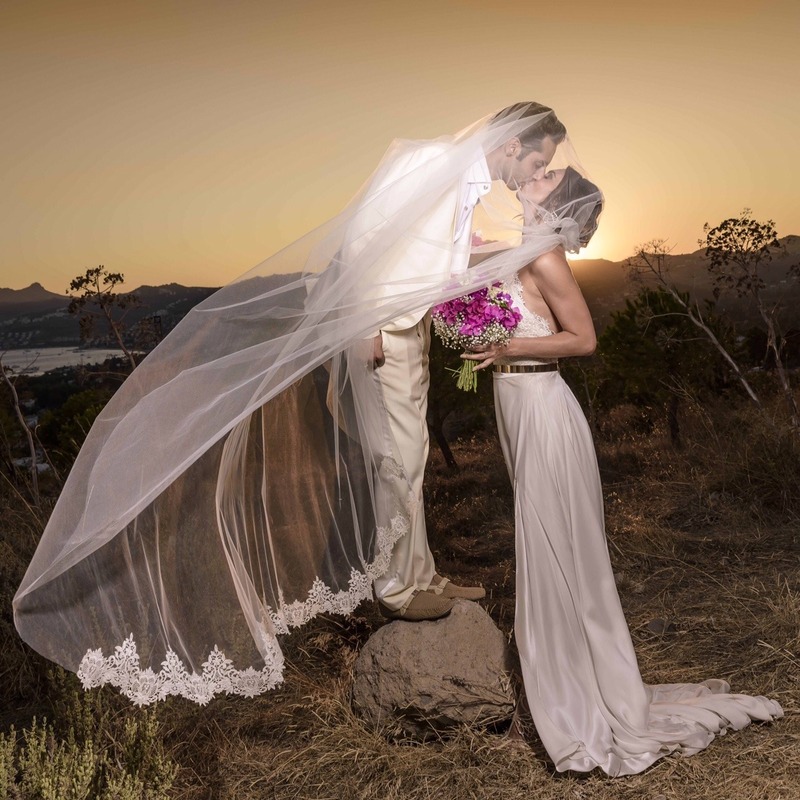 The evening ceremony took place at a breathtaking location, overlooking the bay, with music provided by a Spanish guitarist. Guests were welcomed with hangover-curing homemade lemonade, before taking their seats. The aisle was decorated with candles and lanterns, leading up to a beautiful bougainvillea arch. Festoon lighting created a beautiful atmosphere throughout the venue, which was split over four levels, overlooking the sea. Further details included 600 tea lights and lanterns and bespoke copper charge plates made especially for the wedding. The cake was cut with a sword, which had belonged to the groom’s great-grandfather. Wedding favours were hand-made by the bride and groom, and included a mandarin jam made from the fruit of the orchard where the first day’s drinks receptions was held. 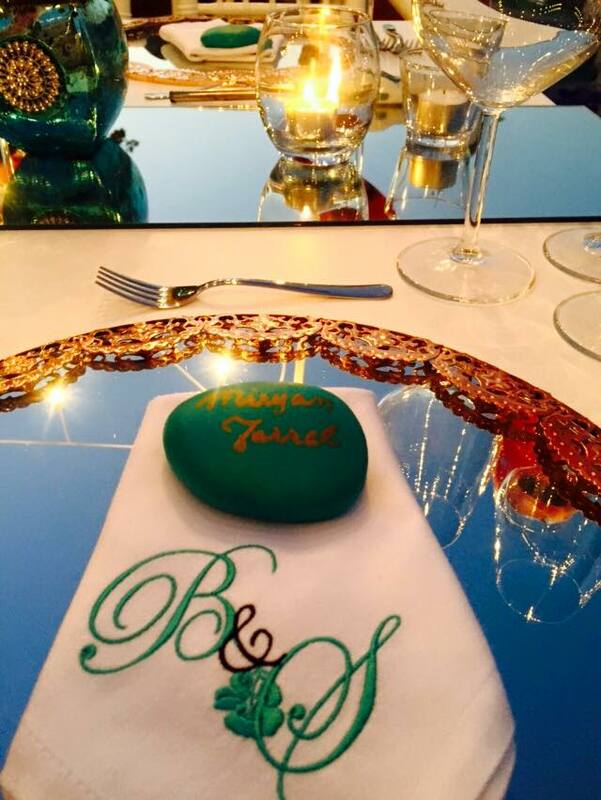 The jars were decorated with a personalised logo; guests also enjoyed mandarin essence and hand-painted pebbles, which were used for guests’ place settings. Napkins were embroidered with the couple’s logo, created for the wedding. The logo also appeared on the uniforms of the waiting staff. Following a traditional Turkish dinner, the bride and groom performed a choreographed dance (both are professional salsa dancers!) The groom and groomsmen then performed a surprise dance for the bride, before all the guests took to the floor to dance all night. The final day of the event was a more relaxed and informal affair, with 150 guests taking a lazy boat trip to four neighbouring bays, for a relaxed afternoon of snorkelling, sunbathing, cocktails and more of that amazing Turkish food. If you’re planning your wedding and would like some expert advice from Sophie and the team contact us – we’ve got some great ideas to share with you!